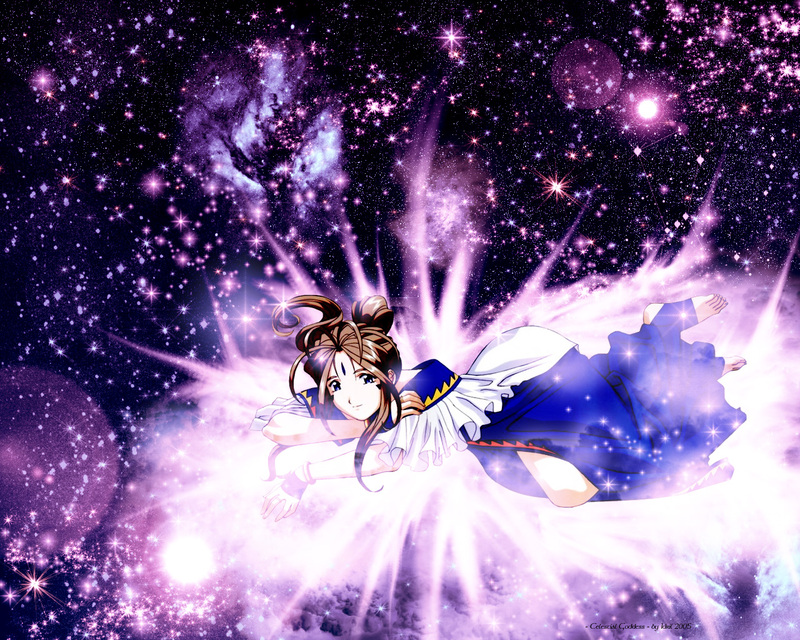 Bell-chan is really a pretty goddess, so I make this wallie for her!! celestial background was made by myself with brushes and tools. scan I found in a moebord. I think this wallie is really simple but very shining... I like it. Awesome wallpaper! Baeutiful!!! :D I like your works! the effect around bell lmade her looks like she's on shining clouds..
nice work u did.. it's great..
this one isn't bad, the background is pretty, I like the stars and effects you used. Scan is pretty clean. Keep up the good work. Very nice! I love this wall. The scan you have used is very appropiate for the bg and is very clear. The background is excellently done and really make the was have a simple elegance about it. Nice work here! I'll definately have to put this on my desktop. It's a very nice wallpaper! And the backgroun is very beautiful! Shiny and twinkly.. and purple! I love it! (Purple is my fav color :D ) Another wonderful wall from Idril! Its so beautiful. I love the background its wonderful. Wow! Great job on this wallie! I really like this one. The scan is beautiful and the background is awesome!